My Story - Got 500 (Q27, V33) on a MBA practice exam, need 600 soon! This is my first post on GMAT club. Everyone seems very helpful over here so i just want to let my thoughts go here for a moment. Now, for the first time in my life i want take things seriously and i am looking for a pre-masters program in business administration, the condition of which is a 600 GMAT score. As a non-native English speaker, i miraculously keep getting high scores on the verbal part for the GMAT practice tests. Perhaps all my years of gaming weren't a waste of time after all. But i am just so bad at the quant section. I think the problem lays in my low-level earlier math. About two months ago i could only do some head counting and knew the Pythagorean theorem(never did algebra of geometry in my life). Lately I have put a lot of effort into this and really started with the basics. Today I took a practice exam and got 27 for quant, long ways to go. According to a 2019 chart i need Q39 at least with my verbal score. My first official GMAT moment is due for 29th of may so i have about six weeks left in which i almost have full-time availability. What do guys recommend? I bought the GMAT official Guide books which come with the online Wiley learn environment(don't have €500 laying around for expensive courses). I figured i just need to practice a lot more so i am planning to do practice questions only for the next two weeks. If anybody has any suggestions i would really like to hear them! Q27 to Q39 is very practicable in six weeks. try following these steps, no doubt, you'll make it. 1) Target to do is in 4 weeks, instead of 6. You'll need at least 2 weeks as allowance. 4) Try practicing, approximation while solving, as well as option based approach. 5) After you're done with book, start practicing with sectional test. Don't get demotivated if you do not do well in first or 2nd test. You'll improve. 6) Always, do deep analysis of every test after you give it. For every single question. 7) Do not waste time. Try it, and let me know how you improve. Don't forget to give Kudos. All the best. Welcome to GMATCLUB! For Quant, You can try out the TTP course as it is phenomenal and covers the entire syllabus really well. Plus it has great reviews on GMATCLUB. I must add that if you are particularly looking to discover and improve on your weak areas in Quant; a subscription to GMATCLUB tests is the best way to do that. They are indeed phenomenal and will not only pinpoint your weak areas but also help you improve on them. I’m glad you reached out, and I’m happy to help. So, although you’ve come a long way with your GMAT quant skills, since you are at Q27, it’s clear that you are lacking some of the fundamental GMAT quant skills you need for a higher score, right? Thus, moving forward, you should follow a linear and structured study plan that allows you to individually learn each GMAT quant topic, starting with the foundations before moving to more advanced concepts. Let me expand on this idea further. For example, if you are learning about Number Properties, you should develop as much conceptual knowledge about Number Properties as possible. In other words, your goal will be to completely understand properties of factorials, perfect squares, quadratic patterns, units digit patterns, divisibility, and remainders, to name a few concepts. After carefully reviewing the conceptual underpinnings of how to answer Number Properties questions, practice by answering 50 or more questions just from Number Properties. When you do dozens of questions of the same type one after the other, you learn just what it takes to get questions of that type correct consistently. If you aren't getting close to 90 percent of questions of a certain type correct, go back and seek to better understand how that type of question works, and then do more questions of that type until you get to around at least 90 percent accuracy in your training. If you get 100 percent of some sets correct, even better. Number Properties is just one example; follow this process for all quant topics. In order to follow the path described above, you may need some new quant materials, and, as rohan2345 suggested, Target Test Prep would be an amazing resource for you. We are the top-rated quant course here on GMAT Club. 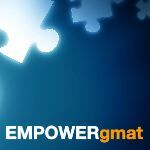 You also may find it helpful to read this article about How To Increase Your GMAT Quant Score. For free math practice and help, I recommend that you set up an account at Khan Academy (www.khanacademy.org). The site is completely free and makes the learning a bit more fun and 'game-like' (as opposed to the dry academic approach taken by most books). While the site is vast, you should limit your studies to basic Arithmetic, Algebra and Geometry. 4) Are you applying to just one Program (and is the only application deadline on May 29th - or are there any later Application Rounds?)? 2) Bought lower school math books, used the Khan Academy for math basics, OG guide for practice questions, some trials like the Economist. And watched a lot of YouTube video's with overall tips. I feel like i am getting more messy with the math questions as i'm increasing my daily amount of study time. I'll have to apply to the local program before the 1st of juli. I read somewhere it takes up to two weeks for MBA to send the results to the uni so i still have a second change in June. 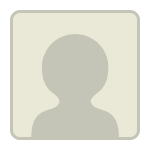 Originally posted by Raymon on 13 Apr 2019, 02:04. Last edited by Raymon on 13 Apr 2019, 04:50, edited 1 time in total. rohan2345 ScottTargetTestPrep Thanks for the advice. TTP really looks like something that could help me. I will immediately start the trial and keep you guys posted. To start, it's worth noting that you do NOT need to correctly answer ANY of the really hard/weird questions on Test Day to hit your Goal Score - but you do have to keep the little mistakes to a minimum. Since you admit to being "messy" with some of your Quant questions (and potentially getting those questions wrong because of those errors), you might actually have the necessary knowledge right now to hit your Goal Score right now... but you're not doing the proper work (on your PAD) to earn those points. Sounds good! I’m here if you need me.